The anticipated homecoming of Meghan and Harry’s royal baby-to-be (and all the adorable media photos of Kate and William’s children) has us feeling more than a little baby crazy at the moment. To channel our energy, we’ve come up with suggestions for planning a nursery fit for your own king or queen of cute. If you don’t post it on social media, did it really happen? We say it’s only official once you’ve posted your baby announcements. 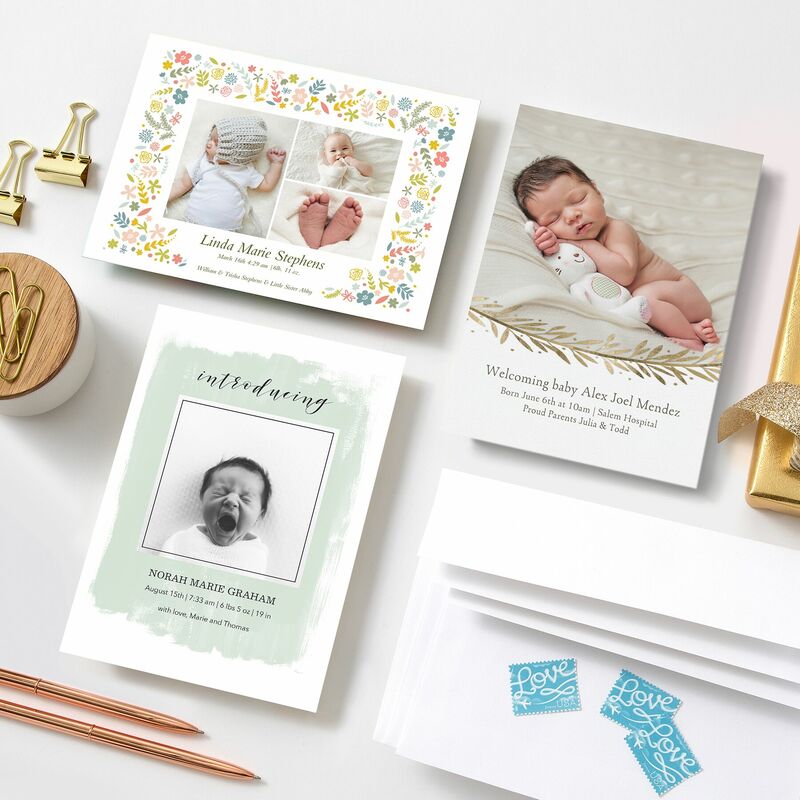 At Snapfish, you’ll find a selection of card designs ranging from regal to really, really cute. Take your pick and then head to the nearest red pillar box to royal mail your birth announcements post-haste. Decorate the House of You with personalised canvas prints and home décor. Any home can be transformed into a palace with a few treasured photos. 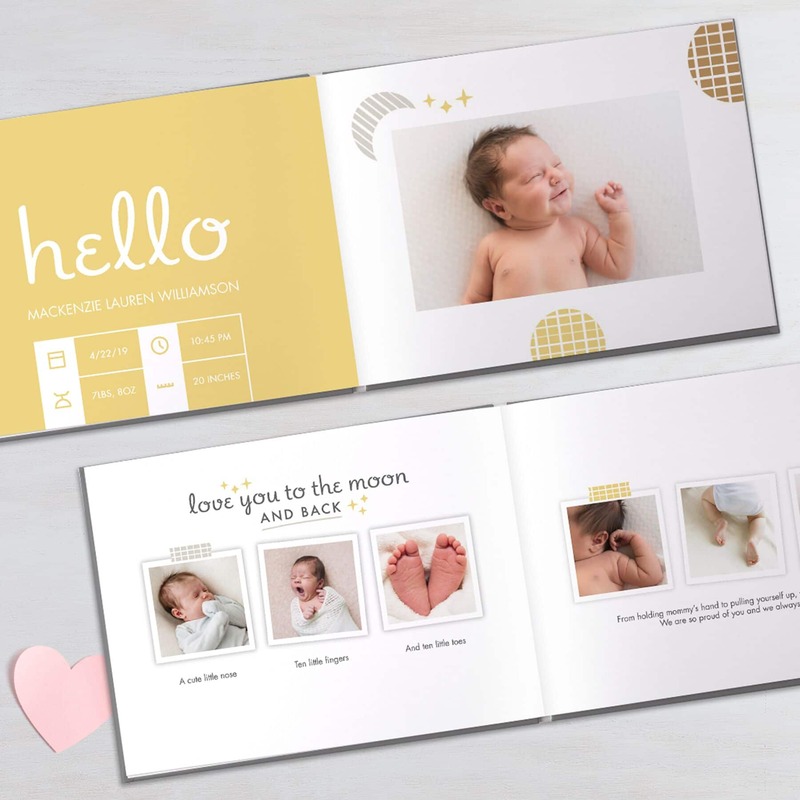 Worth noting are our new baby designs, which provide space to add baby’s photo, name, birth weight, and birth day and time. 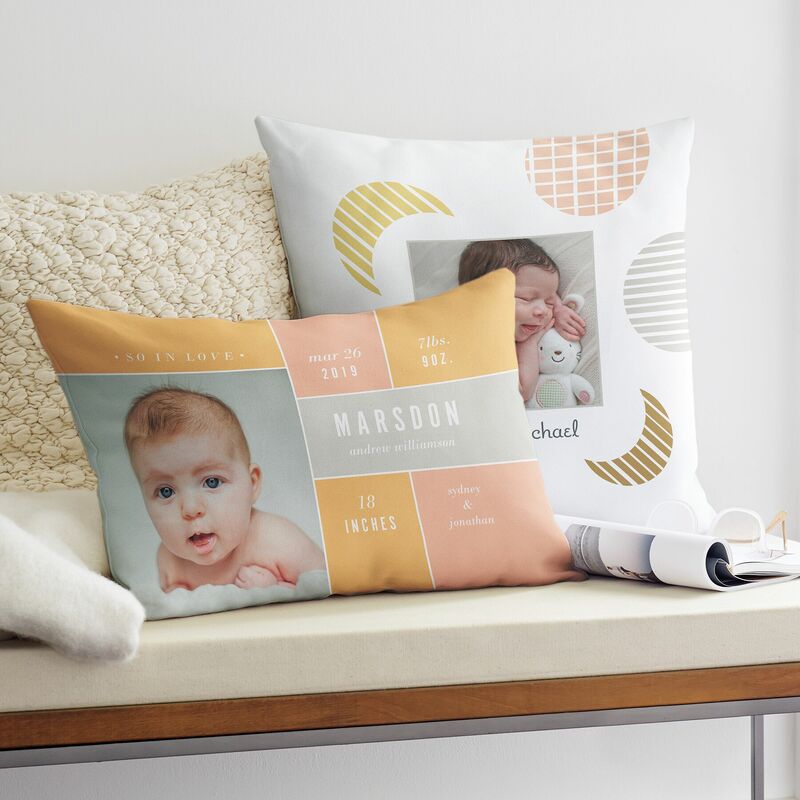 Shop personalised baby décor. Being a new parent can be a bit like being a scullery maid, footman, and court jester rolled into one. Embrace your newfound talents and, when you’re ready to settle down for snuggle time with your prince or princess, we humbly suggest you lean on one of our personalised cushions. Personalised baby books are a must to commemorate your notable new arrival. The first 12 months are a special time filled with milestones you’ll want to remember. 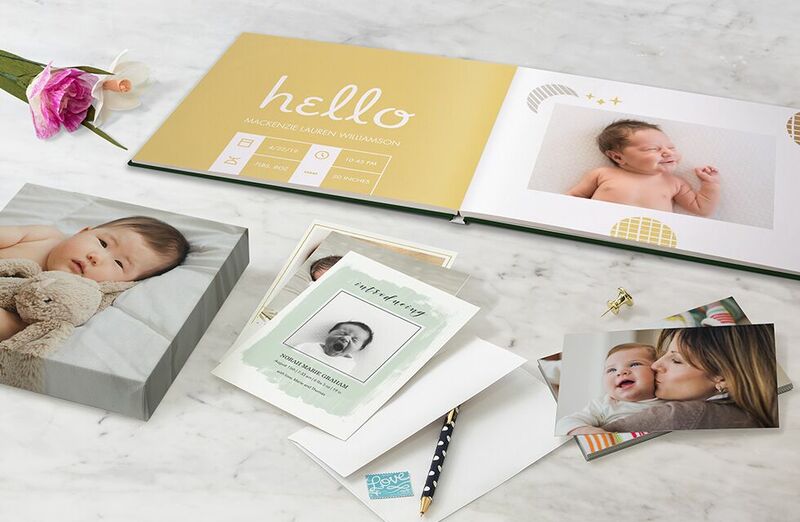 Predesigned templates make it easy to record first words, first steps, and so much more. One perk to being part of our royal family is that Snapfish will give you 50 standard 15x10cm prints every month for the next year when you have the Snapfish App. Postage starts at €2.99 and it’s a great to print your favourite phone photos so you can send them to gran and grandad. 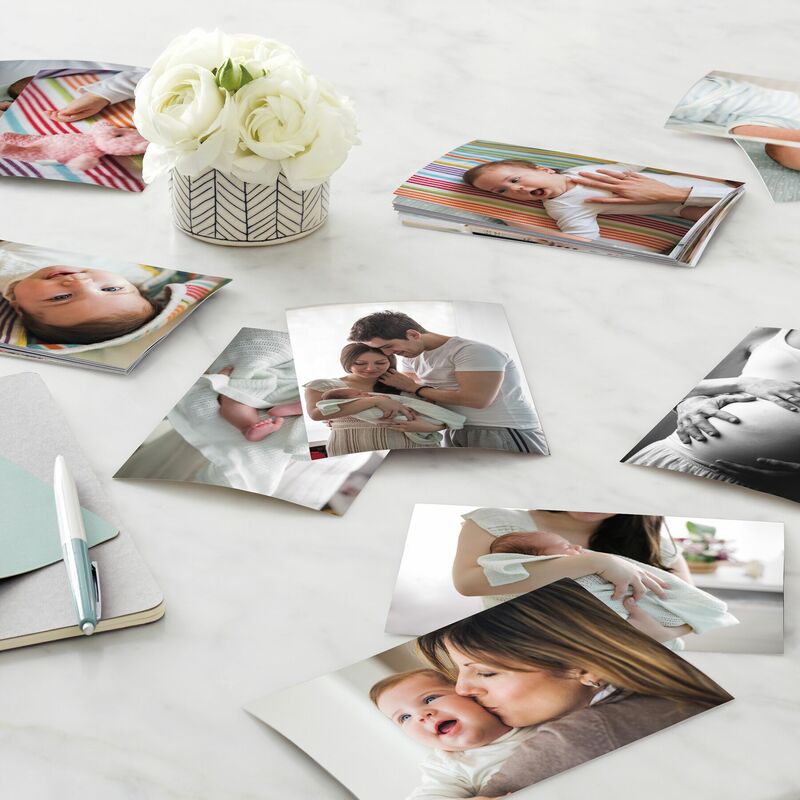 Download the Snapfish App today and get your 600 free prints.